Pear & Buckwheat Pancakes and a (Gorgeous!) Cookbook GIVEAWAY! I know I should be eating more whole grains. I know I should be eating a variety of whole grains. The truth is, they intimidate me. I stand in the specialty flour section, looking at the bags, then grab my bag of good ol' unbleached all-purpose, go home and make cookies. 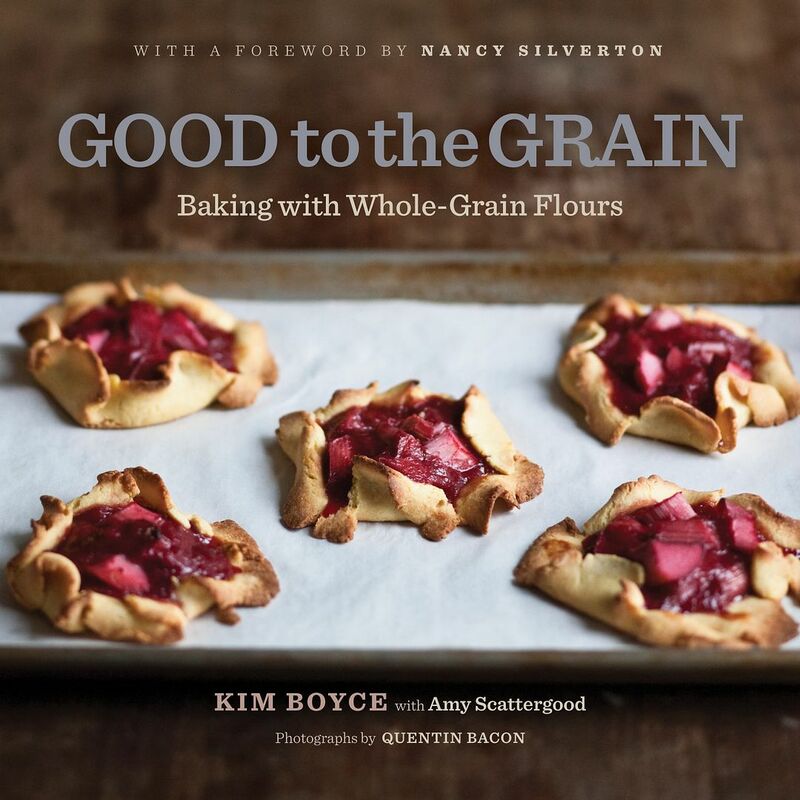 Good to the Grain: Baking with Whole-Grain Flours by Kim Boyce. 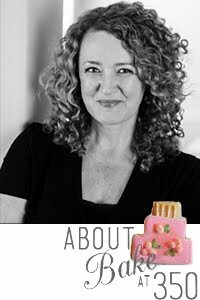 Kim (a former pastry chef at Spago and Campanile) has taken all of the mystery away from those exotic bags of flour in the grocery store. If you melt like I do over a cookbook with beautiful food photos, be prepared to melt. The pic of Cherry Hazelnut Muesli makes my heart pitter-pat every time I see it. You can win one for your very own!!! Just keep reading! Whisk the melted butter, milk and egg until thoroughly combined. Peel the pears. Using the large holes of a box grater, grate the whole, peeled pears into the milk mixture. The pear juice should fall into the milk along with the grated pears. 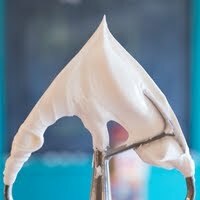 Add the wet ingredients to the dry and gently combine with a rubber spatula. Meanwhile, melt the butter & honey together in a small saucepan and cook until boiling, emulsified and slightly thickened, 2 to 3 minutes. Pour honey butter into a serving pitcher and keep warm. Heat a cast iron pan or griddle over medium heat until water sizzles when splashed on the pan. Rub the pan generously with butter. Working quickly, dollop 1/4 cup mounds of batter onto the pan. Once bubbles have begun to form, flip and cook until bottoms are golden brown. Wipe the pan with a cloth before the next batch and rub the pan with butter again. Serve the pancakes hot with the pitcher of honey butter. I think this cookbook has opened a whole new world of possibilities in my baking. Now you can win a copy of Good to the Grain: Baking with Whole-Grain Flours ! A random entry will be chosen on Friday, March 12th at 10pm CST. Good luck!!! 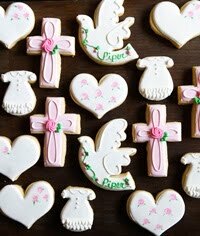 Leave a comment here telling what specialty flour you've always wanted to try or already love. 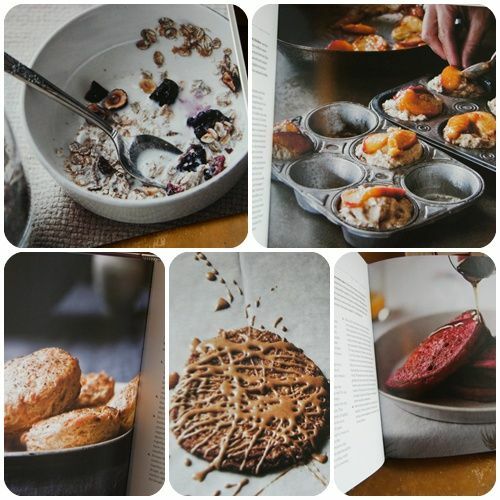 Tweet about the Giveaway: "Gorgeous Good to the Grain Cookbook Giveaway at Bake at 350! http://ow.ly/1g7iD" and leave a separate comment letting me know you tweeted and your twitter name. I have a bag of whole wheat flour in my cupboard. I have used it for a few things, and I like it, but I am still intimidated to use it too much. I would LOVE to learn more about it! I would love to learn how to bake with whole wheat flour.....I eat whole wheat pastas and breads but when it comes to baking my hand automatically goes for the white stuff. Whole wheat flour has become a staple in our home! I have always wanted to try spelt flour....I would love to try to start making my own sandwich bread...the stuff in the store..NOT good!! The cookbook looks gorgeous!!! I tweeted about it too! I've always wanted try try and use almond flour, but I've shied away from it... I'm just not confident enough in the kitchen yet! This book looks great! I love using whole wheat flour in my baking. Buckwheat pancakes are the best too. Can't wait to try your pear ones! I've used whole-wheat flour, but I'd like to try buckwheat or barley flour. I love using whole wheat pastry flour. I also make my own oat flour (in a magic bullet or blender pulverize until fine). I actually substitute at least half of the flour with oat flour in my baked goods. Adds fiber and whole grain. Thanks for the giveaway. I love buckwheat flour! I make waffles with a combination of buckwheat and ground flax seeds and they're so nutty tasting. Mmm! I would really like to get more comfortable with whole wheat flour. I have a couple of recipes that I have used and I know I love, but I'd like to take that further. We love whole wheat, white whole wheat, and buckwheat...Yay for whole grains! I use whole wheat flour pretty regularly in muffins or breads but would love to experiment with others and add more nutrition to baked goods. So far I've only used whole wheat flour, white whole wheat flour, and whole wheat pastry flour. I would love to expand my horizons even more! so why not buckwheat :) Haven't done anything with that yet and your pancakes look like a great launching point. I'm a big fan of whole wheat pastry flour. A few years ago I switched to whole-wheat flour and I love it now. It took my taste buds a little while to get use to the whole-wheat. I also am curious about trying rice flour. PS I tweeted about it as well! LOVE the Hodgson Mill wholewheat flour! Been using it for a while now and would LOVE some additional recipes to spice up it's use! i use whole wheat flour quite a bit but still mix in a bit of white..i'm hesitant to completely convert! I'd love to try working with semolina. I've been brave enough to try adding whole wheat flour to recipes but I end up using half whole wheat and half all purpose. I would really like to try making whole wheat pizza dough. I have used it from time to time, but really want to use it all the time!! What a great giveaway! I've always wanted to bake with whole-wheat flour! Awesome Giveaway. I would love to learn how to bake with whole grains. Oooh, those look great! I'd love to learn what else I could make with buckwheat flour! I'd love to try Buckwheat pancakes. They do sound hearty, don't they? Buckwheat flour is my interest. That cookbook looks inviting. We generally stick with organic, whole wheat flour, but I've read about Garbanzo Fava Bean Flour and am dying to try it. Thanks so much for the chance to win! I would like to try all kinds of flour, but especially oat. I love to bake but am not good about incorporating whole grains into my creations. I would love to use whole wheat, but also, I want to learn how to use all the GF flours...so complicated in my mind. I am ready to learn baking with whole wheat. Anything I can do to make my families food a little healthier is great! ooh i love barley flour. there's something so earthy about the depth of the flavor. especially great in crepes! As bland as it may sound, I would love to learn how to cook with whole wheat flour with tastier results. My current attempts have been less than spectacular, sadly. I bought whole wheat flour, but it is still sitting in my pantry unopened. I'm intimidated by it too! My father LOVES buckwheat anything and though I try to incorporate wheat into numerous recipes, sometimes I don't know how to correctly 'tweak' the recipe to make it come out the best. Would love to perfect it! I've tried using King Arthur White Wheat flour, but I still need to tweak the amount. My rolls came out quite dry. I love wheat bread; I just need to find the right recipe for me. I was using whole wheat pastry flour all the time, then I stopped - but I had some left and made some blondes...turns out whole wheat pastry flour goes rancid pretty fast and needs to be kept in the fridge - oops! I would love to try buckwheat flour! Mmm yummy! I too have always been afraid to try any specialty flours. I haven't tried a single one yet! I'd like to try whole wheat flour and maybe cake flour or bread flour too! I've baked with whole wheat flour...but would love more recipe ideas from this cookbook! 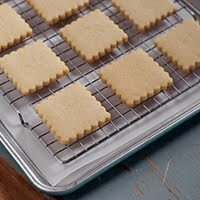 I've only baked with whole wheat flour but would love more ideas and techniques to use with it! I just used whole wheat flour for regular ol' honey wheat bread. It is superb. I would like to try other kinds though...any kind really. Thanks for the giveaway! I have eaten things made with whole wheat flour but I have never cooked with it. I would like to try. I'd like to try amaranth. I have a couple of gluten-free friends and like to make them new things! I would love to learn how to cook with whole wheat flour and really any type of flour. Thanks for the chance to win this cookbook!!! I have tinkered around with whole wheat flour and have made pancakes with buckwheat flour. I would love this book with more ideas on how to cook with whole grains. I use a lot of whole grain flours already (wheat, white white, corn, almond meal) but I would like to learn how to do more sweet baking with them. Those pancakes are beautiful! Thanks for turning me on to this book - it's one I'd love to have! I used to bake with spelt occasionally, but haven't for a long time, so i'd love to start up with that again. I also love using whole rye flour, with lots of caraway seeds! I don't know a lot about brands of specility flours. I do use whole wheat flour that is white in color. I've never used Buckwheat flour. I have tried whole wheat pastry, rye and others for bread making. Thank you for the giveaway. This giveaway is soooooooo perfect!!! I'm a pastry school student who really wants to learn more about whole grain baking!! and since all my money is going towards school I haven't been able to afford any great cookbooks lately!!! traditionally I've just worked with W. Wheat flour for whole grain but I want to branch out!! On another note, I love Almond flour it's good for gluten free baking and it tastes great!! I actually use home ground hard red, hard white and occasionally soft white flour. I would love to try spelt. I have a big bag of whole wheat flour in my freezer...I've tried a couple times to use it and it always seems "off"?? I'd love to learn more about using these different grains. Buckwheat sounds interesting too! 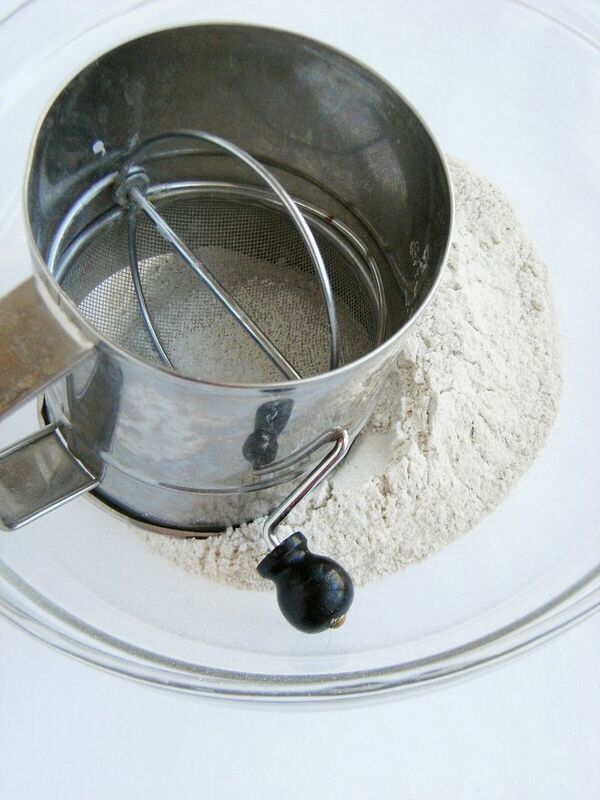 I love using whole wheat flour, I actually use it for everything and cant tell a difference! I would love to use buckwheat though, that I will put on my to-do list! I got a grain mill a year ago and started grinding my own wheat and ever since then I've made my own bread. It's great! I use it in pancakes, muffins, pizza dough, and lots of other things. I've always wanted to try Amaranth flour. 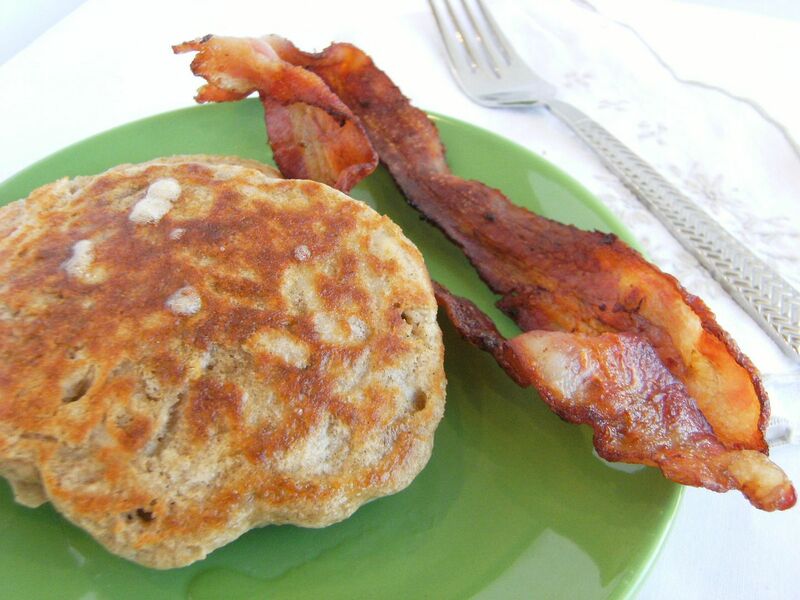 I love to use whole wheat flour, but I usually buy a pre made whole wheat flour pancake mix. Guess I will have to step outside of my box and give the recipe a try. I've always wanted to try amaranth but in general I would love to just know how to use whole wheat well. I use whole wheat flour all the time but have always wanted to try the buckwheat. Those pancakes look delicious! Buckwheat pancakes are my hubbys fave, we order them when we go out for breakfast. I have always wanted to use chick pea flour in some form. I'm just kinda lost the best way to use it. I would love to try any all natural or straight from the Farm kinda flour.. My favorite is Cake or Bread flour.. But the cheapest is the All-purpose.. So that is what I mainly use. I've only used whole wheat flour to date and on a limited basis but would be interested in learning more! White Whole Wheat Flour from King Arthur (http://www.kingarthurflour.com/shop/items/king-arthur-white-whole-wheat-flour-5-lb) is my favorite!! Easy to use, not real noticeable in recipes, and healthy. Yay! I have actually made Spelt bread and it was very tasty. I currently have unopened bags of both Spelt and Whole Wheat flour in my pantry. I have never made anything with whole wheat but I want to. So, I figured if I buy it the recipe, time and inspiration will come. I use whole wheat flour regularly. I've used rye. I'd love to try buckwheat. Thanks for the chance to win. I actually have never used a specialty flour that I can think. I used a whole wheat pancake batter once...my Mom bought it for me. I am open to all kinds of new things though, and would LOVE to win this cookbook! I have always wanted to learn to cook with buckwheat flour! I love whole wheat flour and try to use it as often as possible. There are so many recipes though that just were not intended for it. I would love to try the recipes in this cookbook! I always purchase whole wheat products but I've never actually baked with it. It's definitely something I should try! Me, me - please pick me! We currently don't really use whole wheat flour except to make dog biscuits, but I would LOVE to learn more ways! My fiance and I decided to eat healthier. 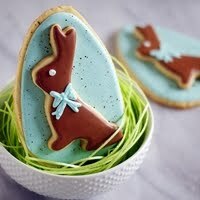 I'm dying to try the wheat flour I have in some delish recipies!!! I'd love to try whole wheat flour! I've baked with whole wheat flour before, but I've always wanted to try out almond flour! i would like to try any and all whole grains in the hopes that my baked goods come out tasting yummy and not just chewy! I use whole wheat flour for most things, but amaranth? I don't know anything about it. Would love to learn! I have so many little miscellaneous bags of flour in my cupboards, i have no idea what to do with any of them! I am totally intrigued by buckwheat. Thanks for the chance to win! I love whole wheat flour, and I use it often. But I would love to experiment with all the other types of flour that I see at the store. I'll have to get some buckwheat flour so that I can try these pancakes! Truthfully, all whole grains interest me...just too intimidated to try! I would love to do more whole grain baking- I just keep buying the flour and letting it expire! I'm going to tweet right now! I've always wanted to try KA Flour...and can I say....those pancakes look amazing!! I have 3/4 of a bag of whole wheat flour in my pantry and am dying to figure out a way to use it. This book would be awesome! I want to learn how to substitute any recipe that calls for flour with wholewheat flour...if that's possible! I have a bag in my pantry that I've only made muffins with and I want to broaden my horizons!! I love whole wheat and use it as much as I can. I'm also a fan of buckwheat but would love to try others. Please enter me, would love to learn more! Thanks! I would love this cookbook! My mom has allot of issues with wheat and it would be so nice to have fun with some other kinds! We love whole wheat here-in fact, my kids think there is something wrong when I have white sandwich bread in the house. That book looks gorgeous! I really want to try using whole wheat pastry flour. Yum...it looks like a great cookbook! these panckes look so fluffy. wish to try the recipe. I like wholemeal flour and oat flour. I use these in pancakes too. Buckwheat flour I wish to try. Honestly - buckwheat flour has always intrigued me - so I may just have to give these pancakes a try! Those sound so yummy! I would love to try some of those recipes. honestly, i don't know much about specialty flours (so perhaps someone else is deserves the cookbook more than me). :) but this lovely book would sure inspire me to try some new and unique recipes! I used whole wheat flour all the time and love it, but that's about the most adventurous I've gotten with flour. I'm intimidated by other flours. That being said I'd love to conquer that fear - Multi grain flour would be top of my to-try list, along with buckwheat. 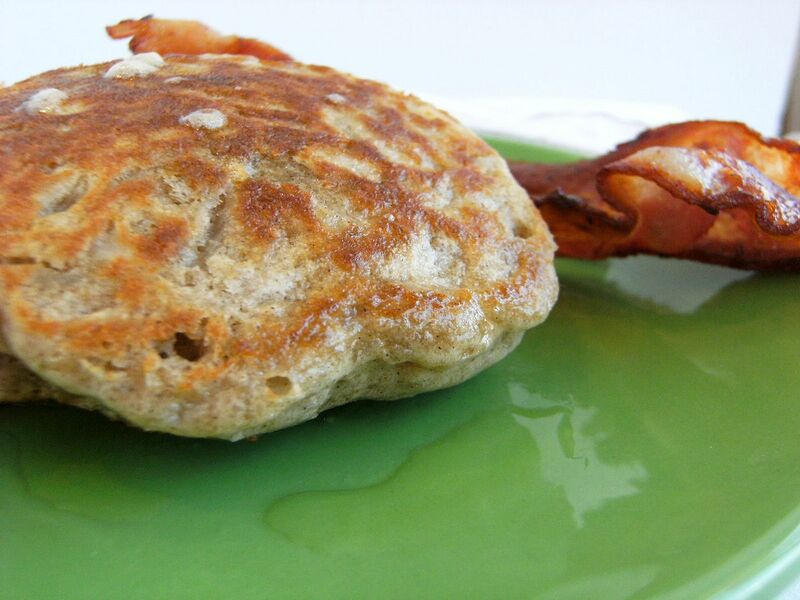 I *love* baking with whole grains... and those pancakes look amazing! What a fun book. I love grinding and using my own whole wheat flour! I substitute it for a lot of white flour in baking and my family can't even tell. I just recently bought rye flour. I've only used it once, but am looking forward to the next low-key weekend so I can use it again! Thank you for the opportunity to play! I would love to try the Buckwheat and also find more ways to use mu wholewheat flour. The first thing that came to mind was wanting to learn about using spelt flour. I'd love to be able to make rye bread with the proper flour! I started using whole wheat flour and whole wheat pastry flour about 2 years ago and love it. I would like to learn to bake with whole wheat! i'd like to try rice flour, but i'm too afraid! I've always wanted to use buckwheat flour. I do always use whole wheat flour now; it's a new adoption in my household! I use rice flour quite a bit. It never says in my house long enough. The best usage of it is for cakes. I would love to try buckwheat! I've never tried to use Whole Wheat flour, but it sounds interesting! I'd love to give it a go! I use whole wheat flour quite often, but it never really occurred to me to try something else! This book looks like the perfect reason. I have whole wheat flour in my cupboard and I don't know what to do with it! Help! I'd love to learn. I tweeted about this giveaway (sara_mccarty). Thanks! I would love to grind my own flour for baking. Any kind. I am sure it would taste so much better than the bagged stuff! I would love to try buckwheat...I've already converted the hubby to whole wheat and it would be great to try new recipes! Would love the book! Whole grain is so good and I would love to learn how to use it. Plus I am a sucker for pretty food pics also! I'd love to try out Tapioca flour! Beautiful post, I love love love pears. 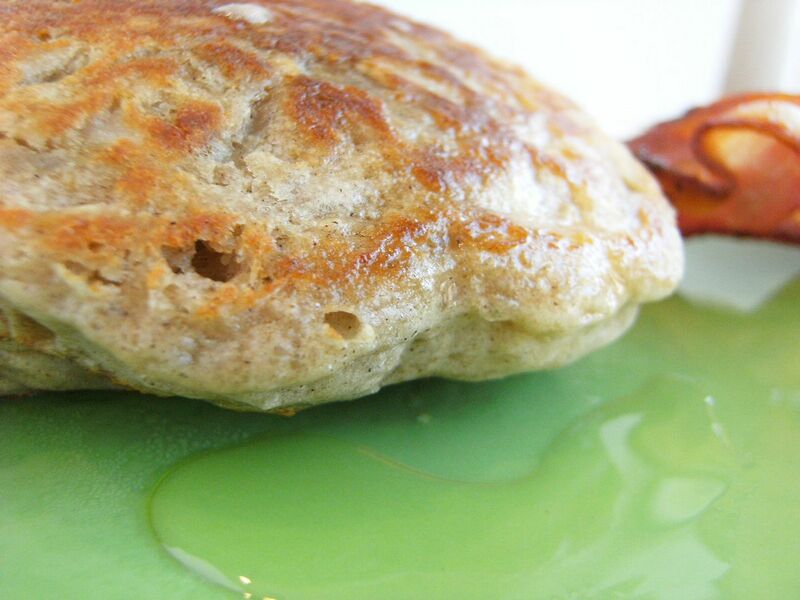 We love buckwheat pancakes here. I make them for Ike all the time. I'll have to try these next time. 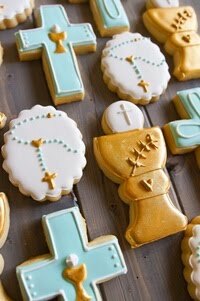 I'd be happy figuring out how to use any kind of whole grain flour to make yummy treats!! But since I love barley, I would probably try barley flour first. i'm intrigued by coconut flour. also, your pancakes look absolutely delicious--thanks for sharing! 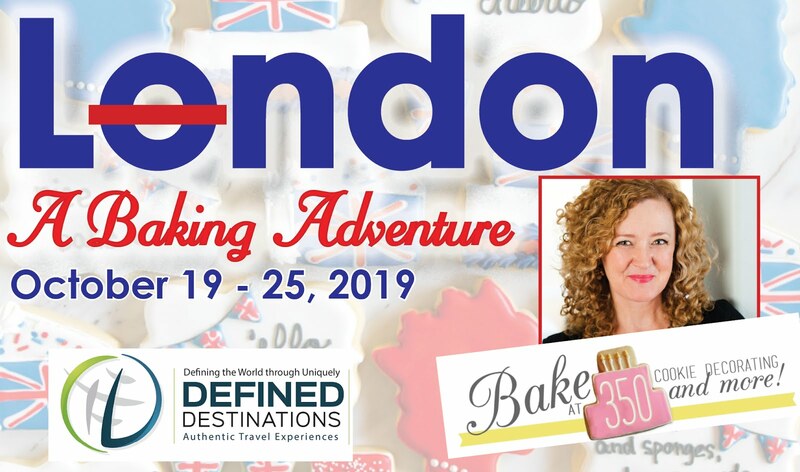 I love baking with whole wheat and often add in bran, oat bran, sesame seeds, flax seeds, ground flax... that is NOT to say that it all turns out. But my pizza dough is pretty tasty. I have been wanting a good whole grain cookbook for years!! Does this one address gluten-free grains at all? Great giveaway! Blessings! I would love to really start cooking with any other flour besides white. I tried a whole wheat once, but really didn't get into it much. I guess you could say I eased into it by typically going 50/50. Would love recipes that actually call for some other than white! I'd love to know what kind of recipes use almond flour or rice flour. The cookbook looks great! Thanks for posting the buckwheat pancake recipe. They are so fluffy! Buckwheat flour is my new favorite ingredient. I substitute half buckwheat flour for all-purpose recipes and love the texture and flavor it gives to my breads and pancakes! A bonus is adding homemade granola to the pancakes...yum! I've always wanted to try millet bread. Buckwheat! I'm up for a healthy challenge! Buckwheat flour is so good! I would love to try new things. And cookbooks! Oh yeah, with pictures? My favorite..
My husband and I have tried white whole wheat, with good success, and JUST BOUGHT some buckwheat flour (with healthier flour alternatives in mind) but his pancakes got poor reviews from our kids...So I cant wait to try this recipe! We try to use WW flour as much as we can - and I'm going to start using White Hard Wheat because it's a little easier to use in baking but is supposed to be the same nutrionally. We grind our own wheat (and hope to get a better grinder soon) - ground wheat loses its nutrients fairly quickly, so I like to use it fresh ground...I'd also REALLY like to win this book! Girl...it took me forever to get down to where I could comment! Oh how EVERYONE adores Bake @ 350!! OMGOODNESS!!!!!! Look so scrumptious!!!! I know that was some kind of good eating...and healthy too!!! And all I have to say..is be still my HONEY loving soul!!!! Oh how glorious to hear you speak of a PITCHER of honey butter to pour over these luxious pancakes! Mmmmmmm! I like you have always felt intimidated as I stand in front of the FLOUR bin at the market! I so want to be HIP and EARTHY and ORGANIC and scoop my special flour out of the bins...but I'm just lost! I thought I was in THE BIG LEAGUE when I started buying UNBLEACHED flour!!!! And as for that MUESLI!!!! Oh how I fell in love with MUESLI in England and in Switzerland! Once we stayed in the Moors of England...in a stone cottage...and the caretaker of the little cottage brought us HOMEMADE MUESLI every morning with FRESH from the cow MILK!!! Oh...this was some kind of GOOD! Rye Flour so I can bake Rye Bread! I have slowly been converting a bunch of my recipes to whole wheat flour rather than all purpose, and now I have a large bag of what I think is Garbanzo Bean Flour that I would love to use. Thanks for hosting such a great giveaway! Oh my gosh! those pancakes look awesome! Buckwheat flour sounds so interesting--would love to try it. I use whole wheat some now, but would love to try spelt four. I have been using rye flour to make artisan bread, and we enjoy it. Thank you for the opportunity to be entered in the drawing! My husband wants me to use wheat flour but I just don't know what to do with it, I would love to learn! I love to try new things. So...I love flaxseed - that's high in Omega 3's. I made Blueberry Bran Muffins yesterday with Wheat Bran. This recipe for Pear and Buckwheat Pancakes looks and sounds good...I may need to try that out soon! Thanks for sharing about the cookbook -- if I don't win I just might need to get a copy of it! I've been wanting to try amaranth flour for a while. You're getting me motivated! Rice flour...what can I bake using this??? I think there is a bag in my freezer now. The possibilities are endless-I would love to have more uses for my whole wheat flour and my quinoa flour. I have several bags of different flours, but the one I would really like to try is the soy flour. 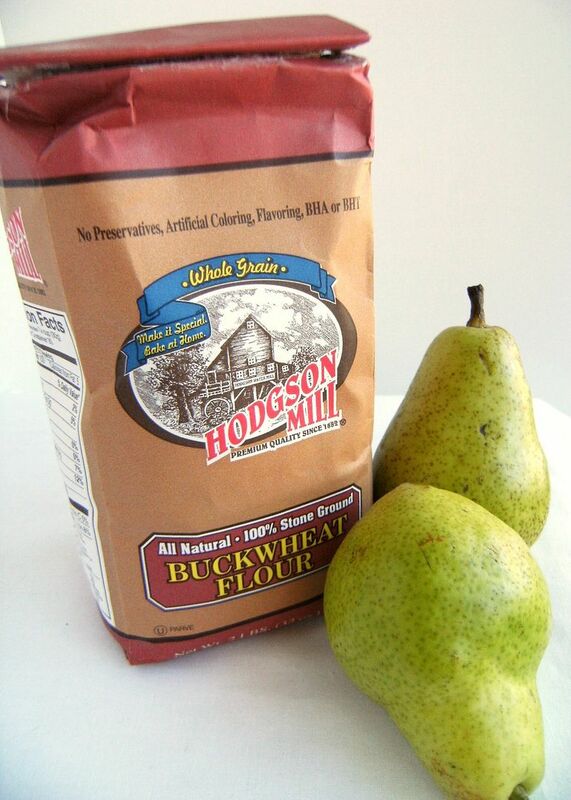 Hodgson Mills makes wonderful flour products. I enjoy their whole wheat flour, but have never tried their buckwheat. I'll have to give it a try. That book looks beautiful!!! Thanks for a wonderful giveaway. I just ordered a new cookbook on preparing artisan breads. I love to bake bread. Love & blessings from NC! I've recently started using whole wheat and semolina. The cookbook and your pancakes are beautiful! What a great giveaway! I would love a copy of this book...I am trying to use a variety of flours too...whole grains. Barley flour sounds like a good one to try! I always use half whole wheat flour and am just starting to use barley flour! Ive just started using alternative flours--in my dog treats. Ive had so many requests for treats for dogs with wheat allergies that I knew it was time to come up with something. 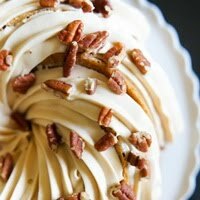 Being a self-taught baker, it was my first real lesson in the chemistry of baking-learning what using gluten free flours do during the baking process. I just finished developing a recipe using barley flour, rice flour, soy flour and oat flour-and it turned out great. Buckwheat is on my list to master in savoury baking. This book would be a great help. Buckwheat flour is top on my list to master. I think this book would be a great help.